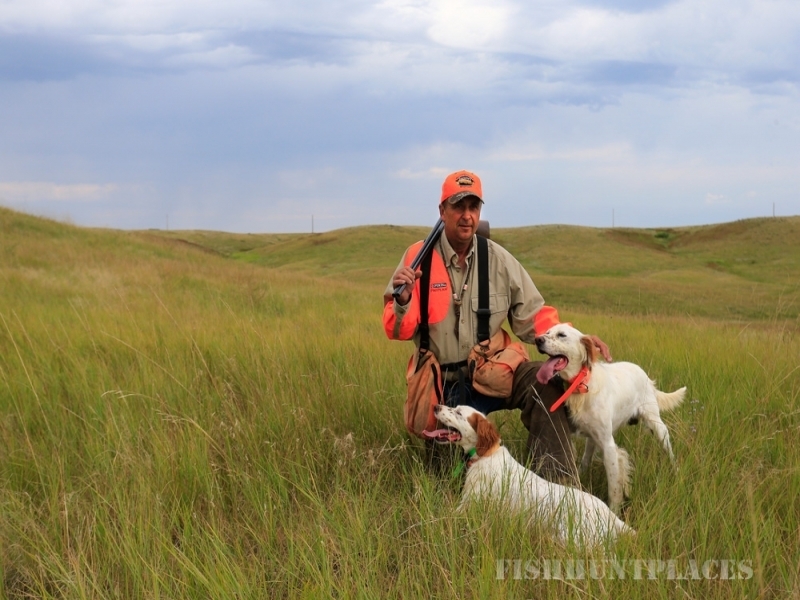 Wild Prairie and Double Gun together offer an ultimate bird hunting experience. Between both of our lodges, there is no where else where you can hunt 6 species of upland game birds with the confidence of your guides, dogs, lodging and meals to make your trip one for the books. The lodges are only 7 hours apart, an easy drive. Hunt ruffed grouse and woodcock a couple days, take a relaxing drive, then spend another few days hunting the open prairie in pursuit of the great prairie birds. For the wingshooter it is a hunt of a lifetime. For us and many others bird hunting is part of life, it’s about dogs, wild birds and wild places. The above painting, upper right is of John and Lily our long time friend and bird hunter who has spent 25 years gunning our covers alongside friends, family and his dogs, the true spirit of tradition. Our hunts are really one of a kind in providing the opportunity to harvest 3 of the most challenging species of game birds native to North America. With both our lodges you will have opportunities to take a ruffed grouse, sharptail grouse and prairie chicken, all 3 trophies in the wingshooting world.